We believe that art should get you thinking and responding; art holds society under the microscope and it interrogates and reflects our values, morality and interests. Our aim is to teach students to develop enquiring minds, be creative, confident, adaptable, skilful and be able to express themselves through a variety of media. Students’ artwork is thoughtful, relevant and sensitive. We teach our students to use the art studios, equipment and materials with independence and confidence. Our students use their initiative and take ownership of their artwork. They are experimental workers and problem solvers enabling them to become less reliant on the teacher and more independent as artists. We give the students space and time to work things out and are explicit about this; sometimes sowing seeds in one lesson and revisiting ideas in later lessons. Lessons are delivered through workshops and as students mature we give them greater flexibility and choice. 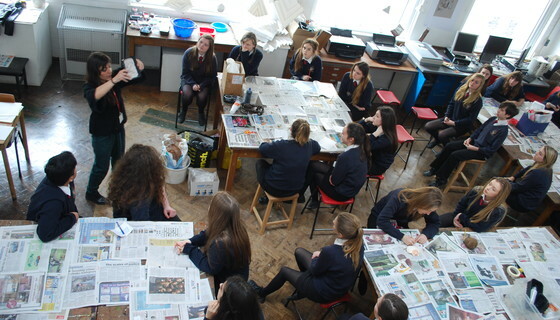 We introduce students to a wide range of artwork and contemporary practice early on in their art education, developing visual literacy and creativity in the context of the wider world. Understanding contemporary art requires important skills of interpretation and enquiry; it is vital as a tool to negotiate our world of visual complexity and the richness around us. We offer a range of options including Art and Design GCSE, Graphic Communication GCSE, A-level Fine Art & Textiles. 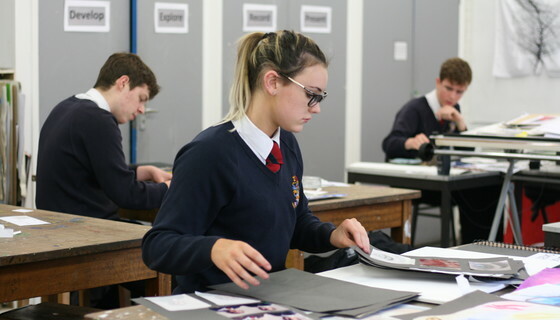 Art and Design is a very popular subject and many art students progress to further and higher education routes and to careers in art and art related fields. We offer many enrichment opportunities including stretch and challenge evenings across the key stages, as well as visits to Tate Modern, Modern Art Oxford, Pitt Rivers Museum, Ashmolean Museum, artists in residences and a residential study visit for A-level students to Paris or Antwerp, we aim to take students on a residential trip. 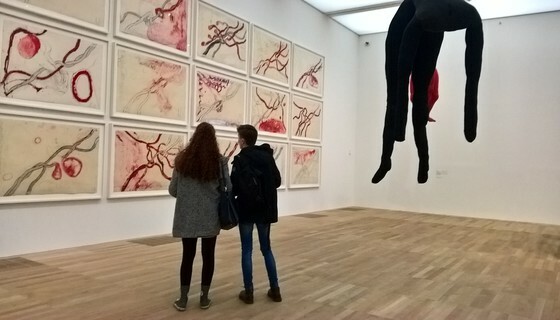 We encourage students to visit galleries and museums on a regular basis. Locally we have a wealth of internationally recognised museums, including The Ashmolean Museum, Pitt Rivers Museum and Modern Art Oxford. On Form is a biannual sculpture exhibition in the gardens of Asthall Leigh. We have 2 specialist art teachers and a technician. All art staff are committed to developing their own learning and are generous in their sharing of good practice. They use their experience and expertise from gallery and museum visits to enrich projects and learning. New ideas underpin their teaching and we offer rich and exciting courses. We have four specialist studio spaces and a small darkroom. The department is well equipped with two etching presses, a ceramics studio and ICT suite for digital media.